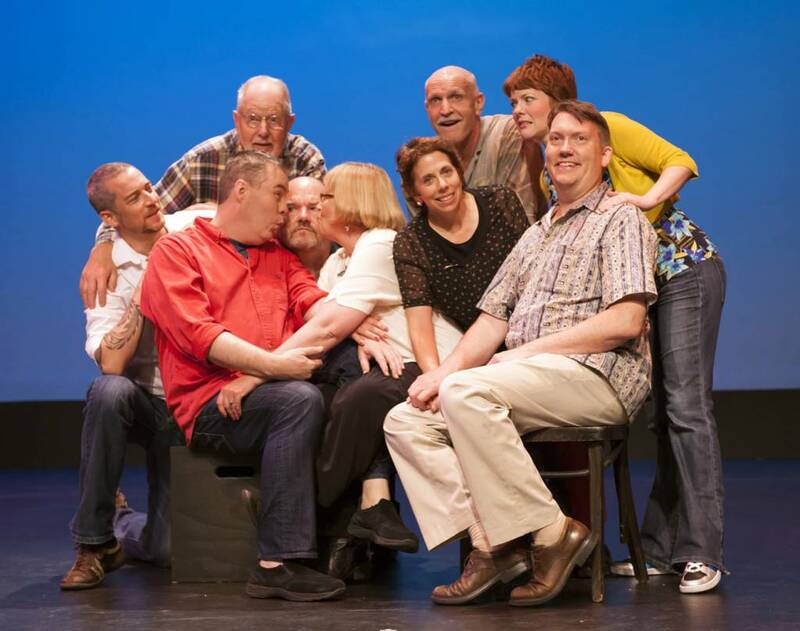 Shake off the winter blues with The EDGE Improv on Feb. 7 in the group’s anything-but-routine first-Saturday performance at Bainbridge Performing Arts. The EDGE presents an ingeniously improvised evening of on-the-spot comedy, all from audience suggestions. The troupe’s riotous antics have earned a devoted community of followers, and have inspired rave reviews and commentary from audience and troupe members alike. Celebrating its 20th anniversary season, The EDGE enjoys a loyal following, and the special rapport the group has with Bainbridge Performing Arts audiences makes a difference in the quality of each show. The EDGE troupe members include Ken Ballenger, Frank Buxton, John Ellis, Cynthia Lair, Susan MacPherson, Bhama Roget, Andrew Shields, Chris Soldevilla and Matty Whitman. Visit www.theedgeimprov.com for video clips from past shows and visit The EDGE at www.bainbridgeperformingarts.org for tickets, bios, upcoming performances and more. The EDGE Improv appears next at BPA on Saturday, Feb. 7 at 7:30 p.m. Tickets, $16 for adults and $12 for seniors, students, youth, military and teachers, may be purchased online at www.bainbridgeperformingarts.org, by phone at 206-842-8569 or in person at BPA, 200 Madison Avenue North, Bainbridge Island. BPA Box Office hours are typically 1 to 0 p.m. Wednesday through Friday, and one hour prior to each performance. Check out BPA on Facebook, LinkedIn and Twitter (@BPAPresents). Go online for the latest on theatre and symphony auditions, complete theatre school and adult class offerings, performance listings, tickets, promos, and more. Go to “About BPA” and click on “Get Our Newsletter” to receive electronic performance announcements and behind-the-scenes news.